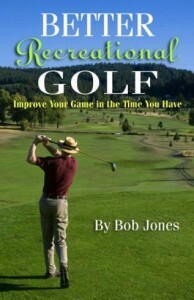 I was talking with my son last week about golf and his problem hitting the ball straight. My son said he could hit the ball straight sometimes, but too often hit a huge banana slice, and the conversation went from there straight into talking about lag. Lag is the Holy Grail of recreational golf. The more the better. Get that clubhead way behind you and whip it into the ball and your tee shot will go for miles. 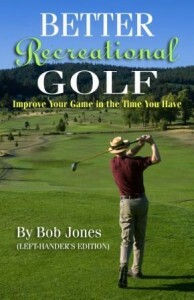 I’m a right-to-left player, and when I hit a huge slice it’s because I forget myself and do what I just described. 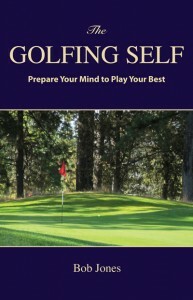 Only when I do it, my body gets way ahead of my hands and arms and the clubhead gets left too far behind. It has no chance to square up and comes into the ball wide open. Hello, adjoining fairway. You see, when you TRY to create lag, creating it artificially, bad things can happen. Lag is created by the hinging of your wrists, and the flexibility of your wrists in the process. You want all the lag you can get at the top of the backswing, and maybe starting down. But once your hands get to about hip height on the way into the ball, the lag starts disappearing NATURALLY and the hands lead the clubhead by a few inches. Trying to hold on to your lag for too long doesn’t work. Many of today’s touring pros have with their body way out in front at impact, but they get away with it, because they don’t out-swing their arms. We’re not them and we can’t get away with it. Forget about lag. Just pretend you never heard the word. If you hit the ball with the hands leading the clubhead in the way this drill teaches you , you will have all the lag you need and can use.